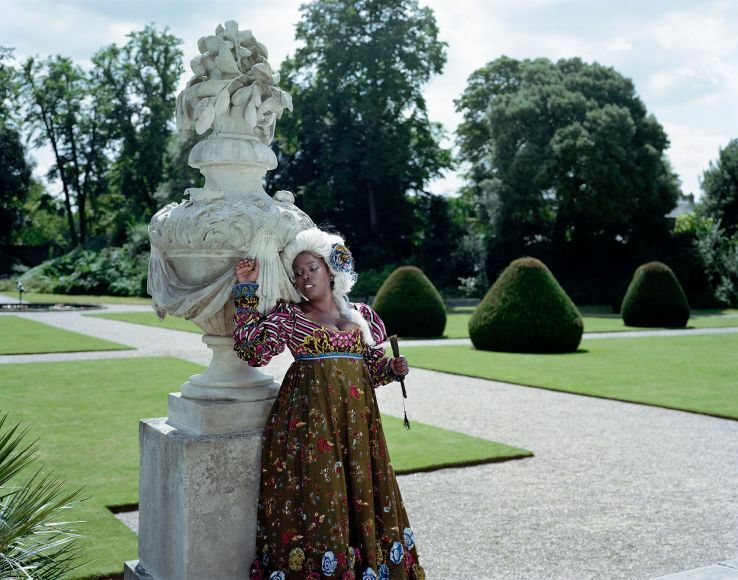 Yinka Shonibare MBE (RA) was born in London and raised in Lagos. Shonibare returned to London in 1979 where he studied at Byam Shaw School of Art (now Central Saint Martins) before obtaining his MFA from Goldsmiths College. Shonibare MBA (RA) was awarded Member of the Most Excellent Order of the British Empire’ (MBE) in 2004. Shonibare’s work is a conversation on colonialism, race, authenticity, class, disability and beauty – but not without humour. Shonibare MBA (RA) is a multi-disciplinary artist, allowing the form of his creations to be dictated by the idea as a practising artist for more than three decades Shonibare MBA (RA) constantly reimagines his process across sculpture, painting, photography and film, with his signature ‘African’ Batik fabric as the axis of his practice. It is the ironic distinction of the Indonesian-inspired, Dutch-produced, exported fabric as a symbol of ‘African’ identity and independence, that sparked Shonibare’s artistic oeuvre. Shonibare MBA (RA) stepped into the international spotlight when Okwui Enwezor commissioned work for Documenta 11 (Kassel, 2002) where he exhibited the impressive Gallantry and Criminal Conversation sculptural installation. In 2008 Shonibare’s mid-career survey travelled from the Museum of Contemporary Art in Sydney to numerous institutions worldwide including the Brooklyn Museum in New York. Shonibare exhibits extensively throughout the world. 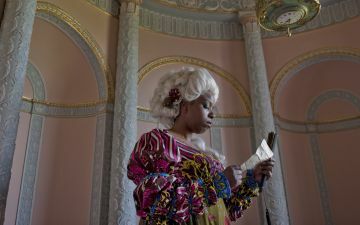 Shonibare’s most recent exhibition Prejudice at Home; a Parlour, a Library and a Room at James Cohan Gallery (New York) in 2017. 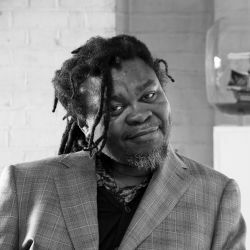 In 2010 Shonibare MBA (RA) was granted the Fourth Plinth Commission in Trafalgar Square (London) and has received public commissions from The Royal Opera House (London), British Council (UK/ Nigeria) and the Smithsonian Institute (Washington D.C) amongst others. Shonibare MBA (RA) is in permanent collections of leading international Museums including The Tate (London), National Museum of African Art, Smithsonian Institute (Washington D.C) and the Museum of Modern Art (New York).